Welcome back to our list of history’s craziest lawsuits. So far we have learned about cases involving magicians and dry cleaners. Who knows what else could be in store? Let’s get into it. Martin Stoner had been playing violin in the New York City Ballet orchestra for almost 25 years when he lost his job. The 60-year-old decided that his next step in life would be to compete for the Young Concert Artist prize, valued at $75,000. Given the fact that Mr. Stoner was decidedly not a ‘young’ artist, he was not allowed to compete. He filed an injunction in attempt to stop the context which was later dropped due to filing errors. When he finally did manage to file his injunction correctly, he complained that the 88-year-old judge he appeared in front of was “too old” and had too many “mental and physical limitations” to try his case fairly. Mr. Stoner’s injunction was not successful and the contest was held as if nothing had happened. Alan Heckard had a problem and it made him very uncomfortable. So uncomfortable, he said it was the source of immense emotional pain and suffering. His “problem” was, he bore a striking resemblance to the best basketball player of all time, Michael Jordan. It was quite a cross to bear. 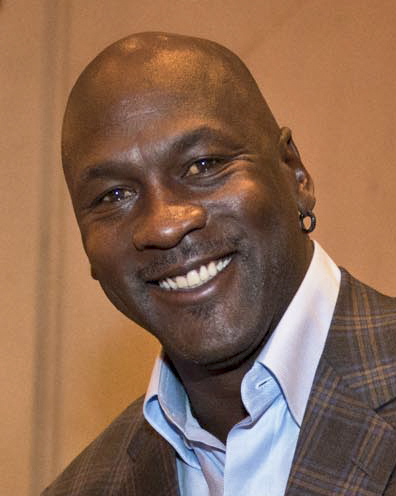 In 2006, he decided to sue Michael Jordan to the tune of $416 million. And that wasn’t all! He sued Nike for the same amount, believing that it was their fault that Michael Jordan had become such a recognizable celebrity! Predictably, Mr. Heckard’s lawsuit did not make it very far. In fact, it never even made it to court. He eventually dropped the suit. It is presumed that he still bears a close resemblance to Michael Jordan.